Cycling is the sport that everybody loves. Doesn’t matter if it is a simple city bike or an all-terrain special, people develop a connection with their 2 wheeled friend. Pretty much the same as our guests on the Budapest beer bike. As in all sports, it can reach extremes: some people just want the best and the most expensive. The Butterfly Madone is currently the most expensive bike on the world with a mind-blowing 500,000 dollar price tag. It was sold at a charity auction to save lives of cancer patients. A light and sporty ride that was presented by Lance Armstrong at the 2009 Tour de France. The specialty of the bike is the original butterfly wing décor, an artistic intention that got PETA supporters enraged. A strange one on the list is the Yoshimoto Nara, still reaching a price of 200,000 USD at an auction. It is a more sturdy design than the Madone, and decorations feature Japanese cartoon characters. 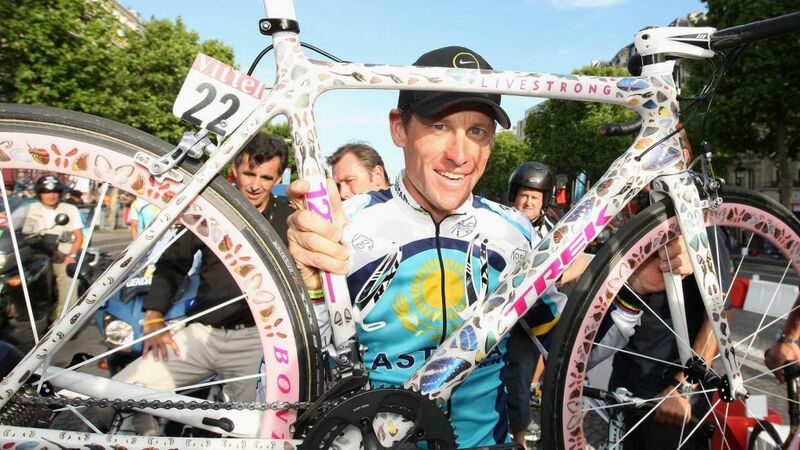 It was also ridden by Lance Armstrong, which kind of explains the enormous price tag. The French bike manufacturer Auramania released the Crystal Edition Gold is a unique masterpiece. The whole frame, wheels and spokes are covered with gold and Swarowski crystals. The seat and the handles are covered with high quality leather, and the whole piece sells for 114,000. It is limited edition, so hurry up if you want to get your hands on one of these! You might call it the Harley Davidson of bicycles, the Cervelo Chrome Heart is a true artistic creation. Cervelo is an American motorbike company that builds custom made bikes. They came up with the idea to put a tattoo inspired paint job on their bicycle. It is more affordable than the others with a price tag of 60,000 per unit. As you can see, there are plenty of posh bikes you can get, if you have your wallet full. In the meantime, opt for a low price option and rent a beer bike in Budapest now! Visit our site to learn more!